THE TT Cricket Board (TTCB) has expressed its congratulations to Ricky Skerritt and Dr Kishore Swallow on their recent election as president and vice-president respectively of Cricket West Indies (CWI). 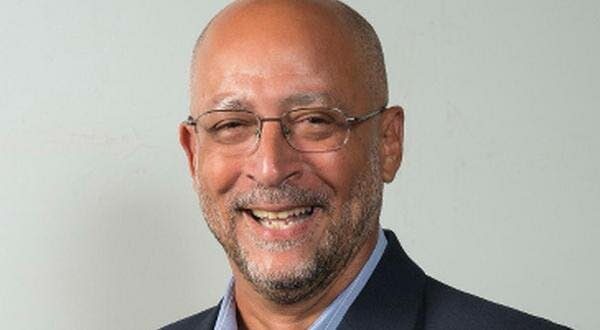 Skerritt, a former West Indies team manager, won the approval of four of the six regional territories, who voted at the annual general meeting, of the CWI, on Sunday, at the Pegasus Hotel in Kingston, Jamaica. It is understood that only Guyana and Barbados supported the highly unpopular outgoing tandem of former president Dave Cameron and vice-president Emmanuel Nanthan. It was the TTCB which initially backed the nomination of former government minister Skerritt and his running-mate to challenge for the top administrative jobs in regional cricket. Azim Bassarath, president of the TTCB and a director of CWI, who travelled to Kingston for the AGM, said he was very pleased with the outcome which vindicated the decision to support the move for new men at the helm. “We are quite optimistic that Mr Skerritt and Dr Swallow will initiate changes in the administration of West Indies cricket which will have a positive impact on the game at all levels. “We believe that the new president has the experience and the courage to implement change and heal the wounds that have impacted negatively wherever cricket is played in the region,” said Bassarath. The local cricket chief and first vice-president of the TTCB Arjoon Ramlal were present at the AGM as TT directors on the CWI Board and did not vote. Instead it was TTCB first vice-president Kerwin John, president of the Tobago Cricket Association, and TTCB treasurer Sukesh Maniam who cast the ballot for Skerritt and Swallow. Bassarath said that he was impressed with the ten-point plan put forward by Mr Skerritt and pledged that the TTCB will be working with the new president to ensure that meaningful change to benefit West Indies cricket would be a reality. Reply to "TTCB happy with new regional cricket boss"